Your Skin and Body Will Thank You!! Kiss A Prince offers a complete line of Natural Soaps, Bath Bombs, Sugar Scrubs, Whipped Body Butter, Lip Balms, Lotion Bars & Bath Soaks. All of our products are handcrafted in small batches at our soap shop in Anderson, SC to ensure freshness & quality. 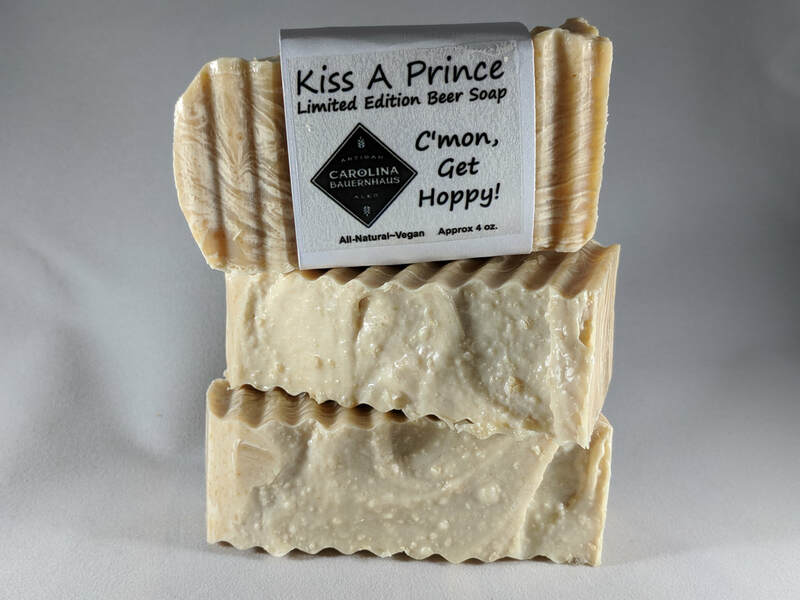 Kiss A Prince soaps are made using the old fashioned, cold process method. We use herbs from our organic garden as well as the finest oils, salts & all natural ingredients. Kiss A Prince products are not only good for you, but also good for the Earth! Our soaps are filled with oils & butters that are so nourishing for your skin, you won't ever want to go back to commercial soaps again! ​Look who uses Kiss A Prince Products! It's The College Football National Champion Clemson Tiger!